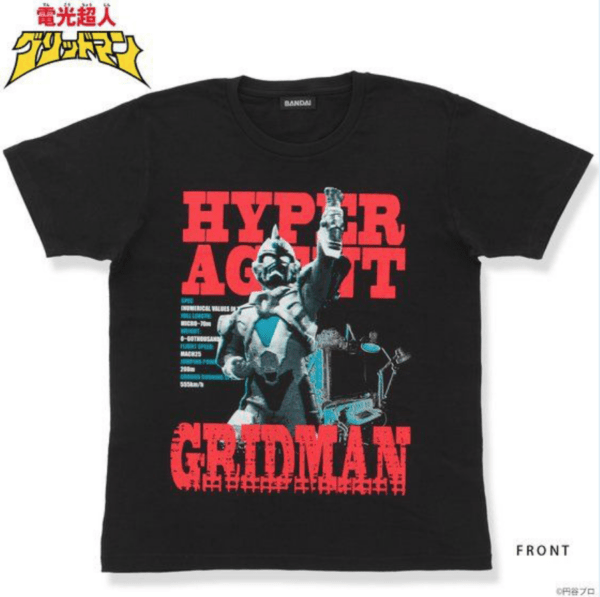 This STUDIO 696 Hyper Agent Gridman T-shirt from Denkou Choujin Gridman shows Gridman and the computer junk from the TV series designed like a poster based image on red and blue on the front. The the back neck features one-point centering on his assist weapon “barrier shield”. Sizes include: JP M (US S), JP L (US M), and JP XL (US L). 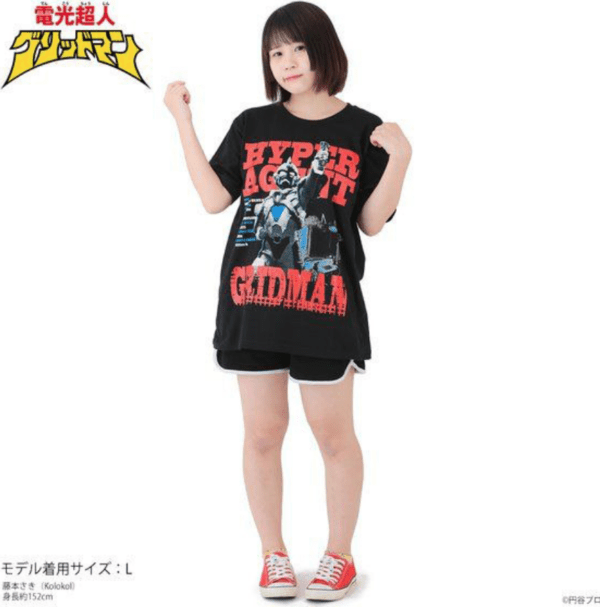 The Hyper Agent Gridman Black T-Shirt from Denkou Choujin Gridman goes for ¥3500 (tax included) and is scheduled for shipment in January 2019. Preorders are being accepted now until December 18, 2019, at 23:00 JST.